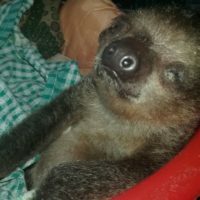 At the end of March the Surinamese and German NGO partners signed a new partnership agreement to continue the rescue and rehabilitation work of sloths, anteaters and armadillos in Suriname. The new agreement is partially a continuation of the previous agreement with Welttierschutzgesellschaft. 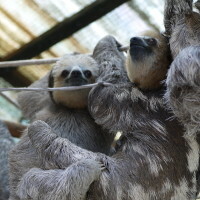 The goals are to rescue, shelter and rehabilitate these typical South American mammals, and the new surroundings in a professional rescue center now pave the way for more emphasis on other elements of the partnership that include education and information, training and habitat protection. 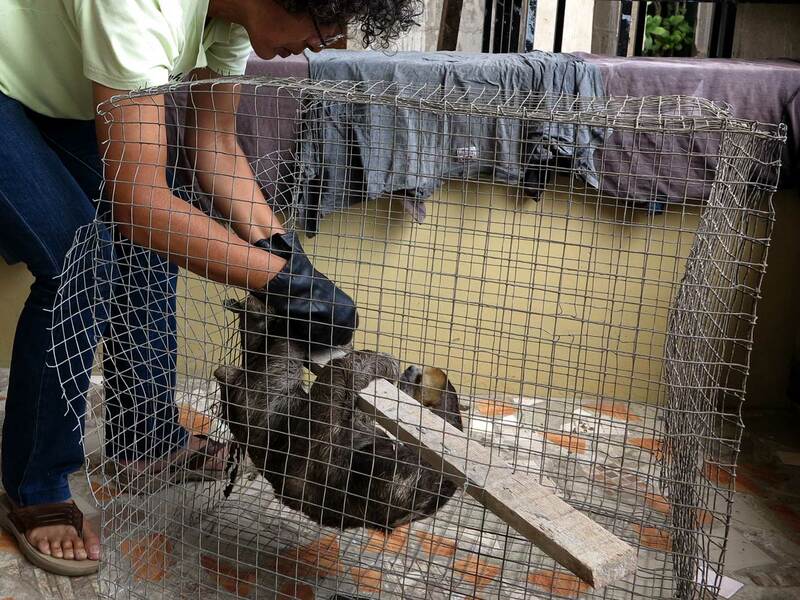 The rehabilitation centre will improve rehabilitation options of wildlife in Suriname. 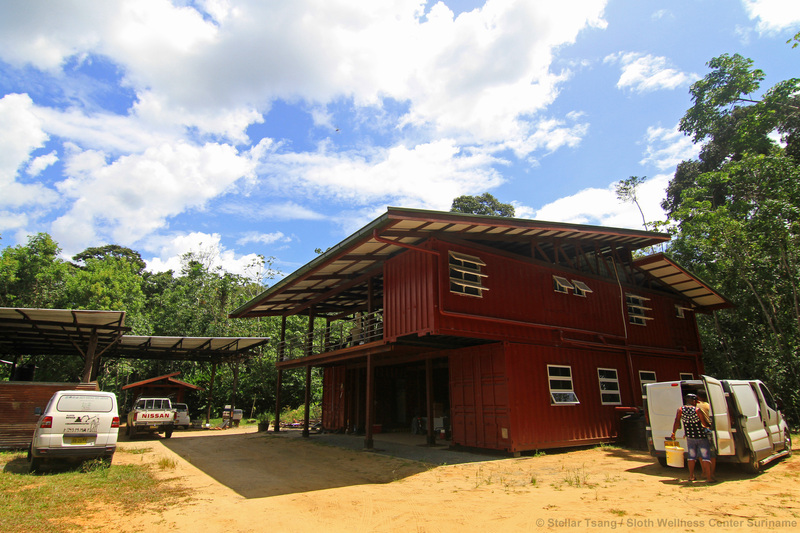 The soon to be officially opened rescue center, also referred to as the sloth wellness center, is to guarantee professional care in natural surroundings with quarantine and treatment rooms to minimize trauma caused by contact with humans, reducing rehabilitation time and thus improving survival chances for the sloths, anteaters and armadillos. 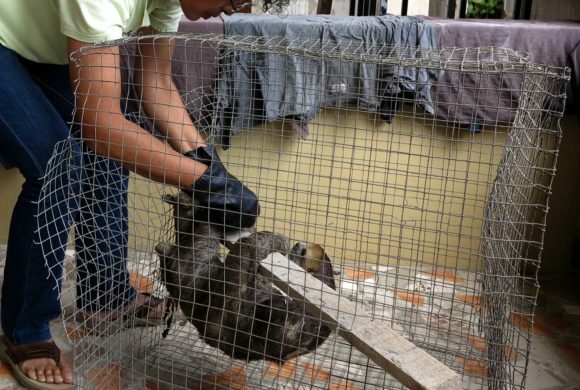 Under the supervision of Dr. Claudia Brieva a Surinamese two-fingered sloth receives medical care from South American veterinarians specialized in sloths, anteaters and armadillos. The center will be staffed by a full-time manager, one full-time animal caretaker and a part-time educator, assisted by always numerous GHFS volunteers. The professional staff will beresponsible for overseeing the day-to-day operations of the rescue center, ensuring that the animals receive proper care – for which the center is outfitted with an intensive care unit, an emergency care room and a special animal kitchen – maintaining facilities and equipment, and interacting with the public. In particular, the rescue center staff will foster good community relations. As the rescue center is first and foremost focused on the animals, the educator will work on a part-time basis as visitors will only be allowed to visit according to a restricted and limited visiting schedule. The professional rescue center will also serve as an educational center to teach visitors about consequences of habitat loss and human-wildlife conflict. 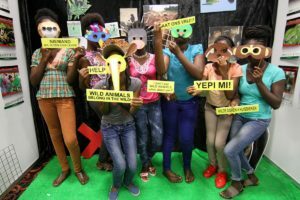 By teaching about the animals and their life history, more awareness will be created about their habitat’s complexity and its benefits to humans. 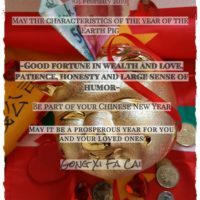 People will also be informed about the impacts of pollution and destruction of the coastal swamp and mangrove forests for animal and human population. Saving patches of forest in the sprawling urban area to create a green corridor along the coast is a solution GHFS advocates for. The educational centre will also serve as training location for youth groups and school classes. 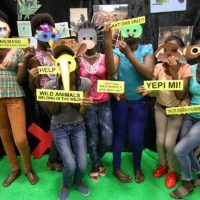 Special emphasis will be put on the harmful effects of sloth and wildlife selfie tourism.In the long term the educational center will help establish a conservation and wildlife welfare ethic in Surinamese of all ages. 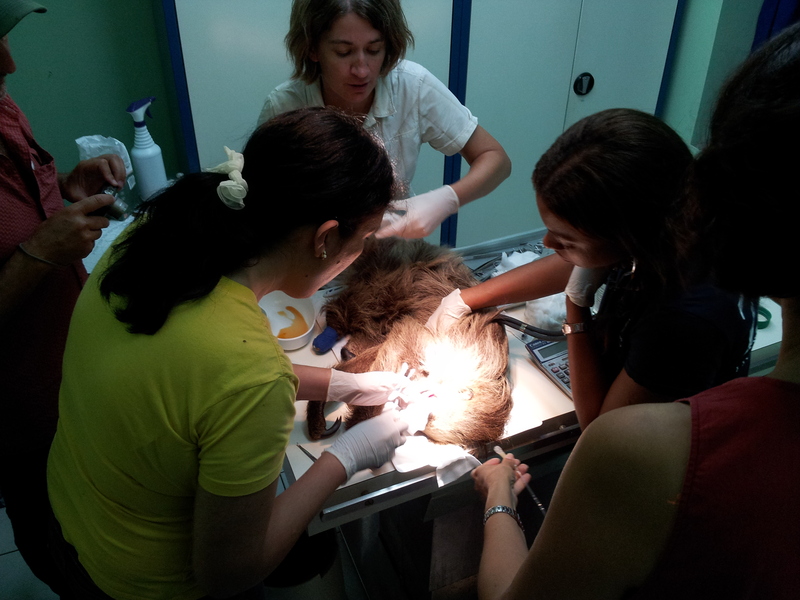 Welttierschutzgesellschaft is supporting a course in the medicine of sloths for the professionals assisting GHFS with their treatment to provide optimal care to each animal. 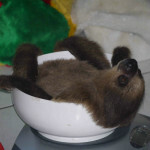 The metabolism of sloths and anteaters is so different from other mammals that providing medical care requires specialized training. For this purpose, Dra. 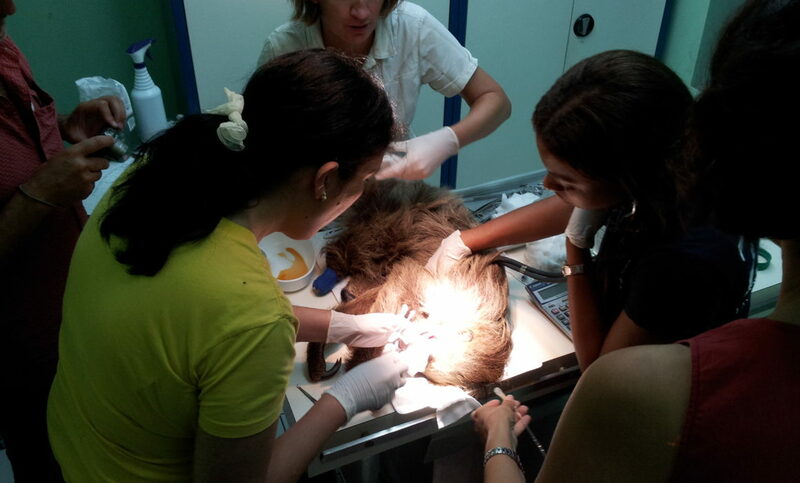 Claudia Brieva, a lecturer at the Universidad Nacional de Colombia on wildlife medicine – with a specialization in sloths – will provide this training. The course theory will focus on the medical treatment of sloths, their welfare, medical parameters, and case studies will be discussed. The practical part would involve actual treatment of an animal. Vets targeted for this training are the vets already working with the GHFS and several that are new to the care of these animals and do not have any previous experience working with these animals. Vets practicing at the Ministry of Agriculture, Animal Husbandry and Fisheries will also be invited. Within the agreement period a sloth action plan for Suriname will be initiated. 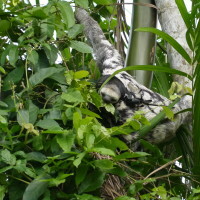 Sloths, two species in Suriname – Bradypus tridactylus andCholoepus didactylus– are according to IUCN of least concern. 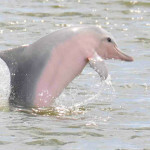 However, these species are in the coastal zone of Suriname threatened, particularly by habitat loss, poaching, pet and bushmeat trade, and selfie tourism. 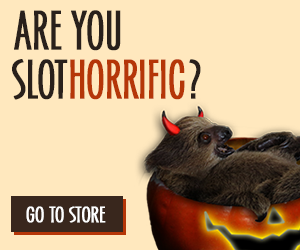 Despite the fact that killing or capturing sloths for any purpose is against national laws. Unfortunately, institutional, social and economic decline, is causing wildlife to be under increasing pressure as urban and rural human populations engage in the unsustainable exploitation of natural resources. The result of these activities is the elimination of wildlife, including sloths, from the rainforest and the reduction of suitable habitat. Seriously compromising the welfare of sloths and other animals sharing their habitat. 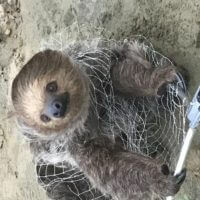 To help to address these issues, the sloth action plan for Suriname aims to analyse the impediments to effective conservation of sloths, assess the status of the sloth populations, assess wild sloth welfare, look at strategic actions for sloth conservation through a threat analysis and threat ranking, make a conceptual model and develop intervention strategies, as well as a monitoring plan. 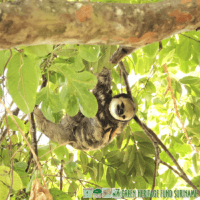 This sloth action plan would then guide the work of GHFS in conjunction with the Nature Conservation Division and other partners and could serve as a model for other species action plans, such as anteaters. Together with Welttierschutzgesellschaft a wildlife welfare workshop will be organized for and with a broader audience, including the Nature Conservation Division, other government agencies, other animal welfare groups, the private sector, and other interested stakeholders. The goal of this workshop is to raise awareness about wildlife welfare, in particular with regard to the species GHFS works with, as well as in a more general sense relating to all wildlife. Human activities or changes to the environment leading to welfare issues affecting wildlife and how this relates to issues of conservation, management and research will be highlighted. A roundtable on practical approaches for the alleviation and prevention of some of these welfare problems will be part of this workshop. The output of this workshop in the form of a document could provide a basis for wildlife welfare considerations to be integrated in rules/regulations on specific human activities, such as deforestation. The short-term goal is to give increasingly better care to ill and wounded sloths, anteaters and armadillos. As human actions cause animals to become orphaned or get in trouble, at first the rehab center will be outfitted so that it can handle on average 100 animals per year to be rescued, cared for, rehabilitated and prepared for life in the wild again. The long-term goal of the rehabilitation center is to make itself superfluous. This means that the average citizen is aware that “wild animals belong in the wild”, meaning that the center should not receive more than 50 animals per year (reduction of 50%) and that the focus of the center will be increasingly on education, research and awareness. Such a success would include a green corridor in the city for in-situ conservation.